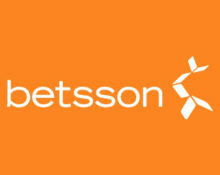 Betsson – Endless Summer Mission! Spin for huge cash prizes! Win up to €8,000 in cash plus 10 Free Spins! Do you dream of everlasting summer? Then you need to either move to the tropics or, much easier, take part in this thrilling mission tournament at Betsson from the comfort your home. With a massive €50,000 cash prize pool shared between 666 players and 10 Free Spins on Spina Colada for everyone taking part, this is one tournament you do not want to miss. Exclusive for players from Finland, Germany, Iceland, Netherlands, Norway, Peru, Sweden and Switzerland. A massive €50,000 must go in this thrilling tournament plus 10 Free Spins on Spina Colada for everyone completing all three missions at least once. Complete them on Spina Colada, Golden Fish Tank and Sunny Shores in the fewest possible spins and walk away with massive cash prizes from €20 – €8,000. 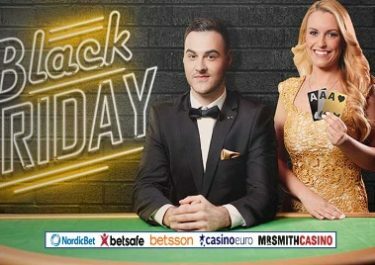 This is a network wide promotion with Mr. Smith, NordicBet, Betsson and Casino Euro taking part. Players excluded at Betsson can take part by joining the tournament at the other casinos. Players can restart their mission after minimum 25 spins and can try to improve their score right up to the end of the tournament, however, the best score will always be kept. A tournament tab in the game client displays all relevant information. The TOP700 players will be invited to an additional raffle with a €5,000 cash prize pool from 00:01 CET on 24th September to 23:59 CET on 5th September 2017 with 166 available prizes. To take part, qualifying players have to open one of three tournament games during the raffle period. All players completing the three missions minimum once will instantly receive 10 Free Spins on Spina Colada. Wagering requirement is 35x within three days.